.............................................................................................................................................................................................................................................. Today, hospitals and healthcare providers feel that their major competition is other providers. In reality, the major source of competition to the healthcare industry is other service industries and the retail sectors of the economy. We are a consumer driven society and other industries must provide their consumers with prompt, courteous and efficient service in order to remain competitive. Why, then, should we allow for a different expectation from our patients? The importance of meeting patient expectations and measuring their experience with our healthcare institutions and providers will grow in importance. 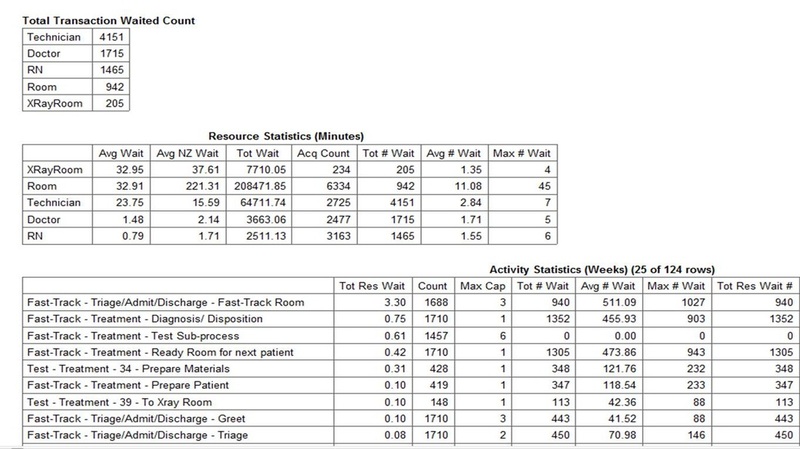 Patient outcome data and facility rankings are rarely understood by the general public. However, the average patient does understand whether they were met with a smile, the floors were clean, the food was warm, the television worked and they left the healthcare experience with a general sense of well-being. As technology has rendered immediacy to every aspect of our lives, why should we remain satisfied with the archaic pre-admission processes that plague every patient and/or family member entering each portal of the healthcare system? As the retail industry has perfected ready access points for their customers, why should we tolerate the deplorable lack of signage and endless maze of corridors at our hospitals? And, if focus groups are used by every major industry to design products, develop branding strategies and determine price points, what possesses the healthcare industry to design their buildings, determine service lines and charging structures without input from their patients and end users? The patient experience begins, not upon arrival to the multi-level parking structure, but in their homes, in their doctor’s offices and in their general lack of understanding of how the healthcare system works. It of course continues throughout the inpatient confinement or outpatient episode. And, it does not end upon discharge or completion of a serial treatment. The patient experience actually concludes upon their return, if possible, to activities of normal daily living. The degree to which the healthcare provider or institutions assist in the transition from each milestone of the total patient care continuum is the real means by which their patients will measure their experience. Remember, by nature human beings are negative. If they have a bad experience with a product or service, consumers transmit their dissatisfaction beyond their immediate circle of influence of about 30 individuals. If they have a good experience, that experience is shared with less than 10 people, usually close family and friends.It is incumbent on healthcare leaders to concentrate on the experiential aspects of the services they provide. So how can you design the optimum patient experience? First, organize two groups to identify patient expectations with their patient care experience by service line. The first group consists of former patients. The second group consists of a cross section, both vertically and horizontally, of every department that is involved with the delivery or support of patient care to each service line. In concurrent sessions, ask each group to identify what they perceive to be the patient expectations while undergoing treatment or receiving care from that service line. 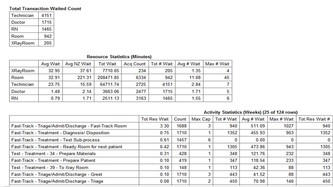 Most of these exercises begin to document a distinguishable disconnect between the patient group and the hospital stakeholder group, and thus the opportunity for improvement begins to reveal itself. Following this first session, representatives from both groups convene to compare discrepancies, discuss viewpoints and reach consensus on how to target and meet patient expectations. 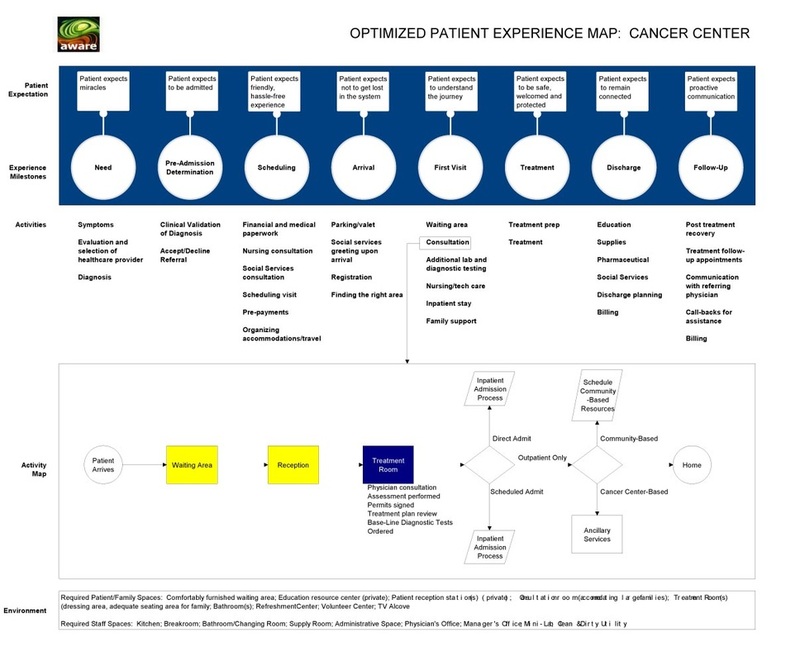 General experience milestones are assigned to each cluster of activities required to attain an optimal patient experience. A list of exemplary practices pertaining to current processes is developed as well as an inventory of additional activities required to support the experience milestones. Third, a second series of multi-disciplinary team meetings are convened to develop the optimized patient processes for each activity identified in MDST-1 (Multi-Disciplinary Team Meeting 1). An inventory is developed of the facility, technology and culture changes required to attain the optimized patient process. 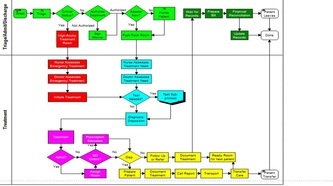 Following approval of any or all of the optimized processes by the organization’s leadership team or project steering committee, Failure Mode Effects Analysis (FMEA) can be employed to predict the failure of each process, develop remedies and assess the cost/benefit of efforts to implement the required changes or effect the appropriate facility and/or technology improvements. 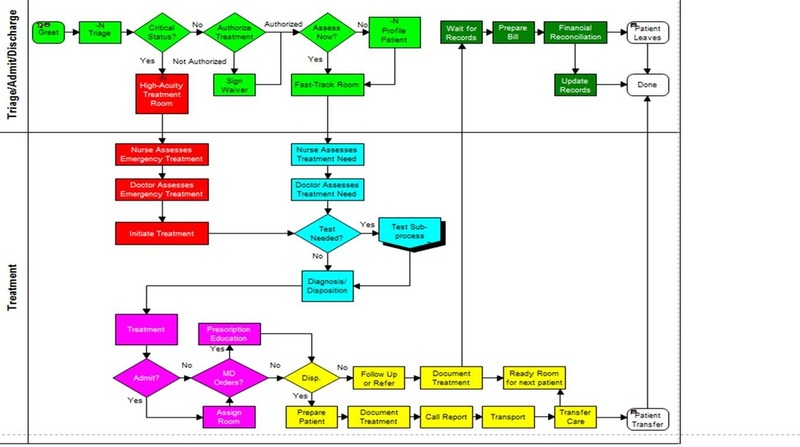 Process modeling software can also be utilized to project the impact of each process in terms of cost, patient throughput and resource utilization (See Report Illustrations “Process Map”, “Cost” and “Bottleneck Analysis” at bottom). It should be pointed out that the cost of such an undertaking pales in comparison to the financial impact of losing just one patient and their immediate circle of influence. As with any change management process, great care needs to be given in the development of metrics to the measure the impact of each change. A transition strategy should to be developed for each of the optimized processes along with a concise implementation timetable that allows for the appropriate sequencing of the proposed changes. 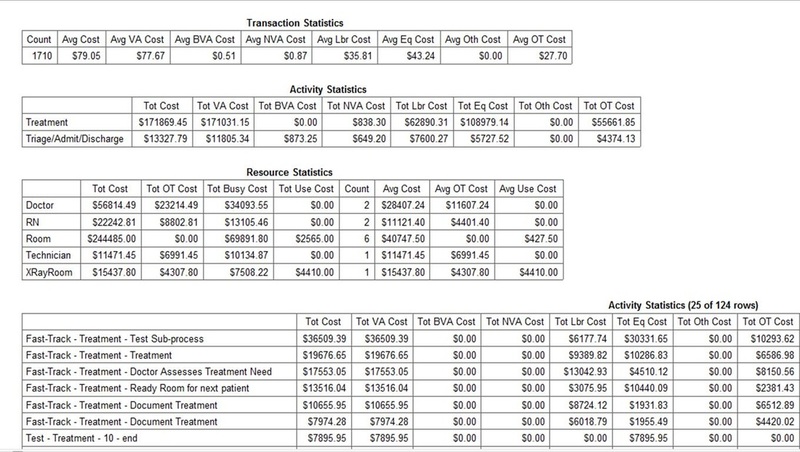 And in the budgeting of such a serious undertaking, serious consideration should be given to the development of a patient experience measurement program. 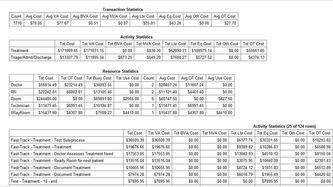 This is not one of the standard healthcare industry patient satisfaction instruments, but a specific software and hardware platform designed to measure, in real time, the actual experience of the patient and/or family. At the conclusion of this exercise, a patient experience map (See Report Illustration “Optimized Patient Experience Map” at bottom) is developed and published for review and use by all stakeholders. The transition strategies are also published and integrated into the institution’s TQM program with the appropriate accountability and reporting mechanisms utilized to ensure the timely implementation of these strategies. 1. Allow us to register from home. 2. Allow us to schedule our appointments/tests/procedures from home. 3. Don’t make us repeat the same information over and over again. that our entire healthcare team can benefit from the information. Mark Allen Stinson,has more than 25 years of executive level experience in the private and public healthcare industry, He has administratively directed all hospital-based clinical, support and administrative departments. He has directed the development and construction of over $1 billion dollars in healthcare facilities. His expertise also includes the development and management of healthcare services to include freestanding and hospital-based pain management programs, ambulatory surgery centers, community mental health centers/psychiatric programs, physician practices, home health, as well as inpatient and outpatient physical rehabilitation centers. As President & CEO of Aware Concepts, his current consulting responsibilities include assisting clients nationwide and internationally to evolve into more efficient, higher quality healthcare providers through system(s) integration, strategic facility planning, and operations improvement. This is accomplished though the planning methodologies that he has developed entitled “Process Led Design™” and “Designing The Patient Experience™”.